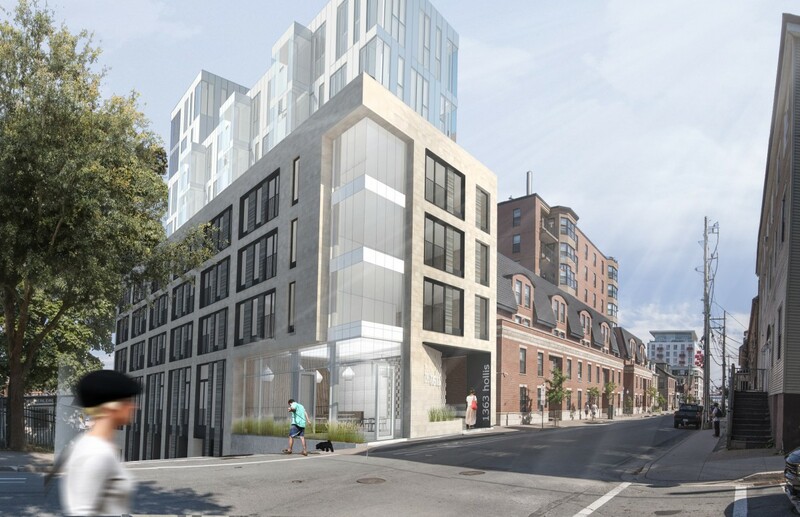 Flynn Flats embraces the modern lifestyle of Haligonians. Located at the corner of Hollis and Bishop Streets, Flynn Flats allows residents to become an integral part of the city with walkable adventures, endless dining options, and eclectic shopping. This new boutique of suites blends sophisticated design with modern amenities that complements this downtown neighbourhood vibe. Each of the 43 designer units, including 1 & 2 bedrooms (some with dens), offers expansive windows, thoughtfully curated floorplans and some exposed concrete walls. Please click below to receive the latest construction updates. For a better view, switch to landscape mode on your device.